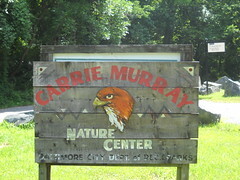 This is a quaint, litte nature center with free admission and nice variety of animals, insects, local plants and park lore that the kids can come close too. The staff is friendly approachable and knowledgeable. They are often available for questions and more. They also periodically have insect festivals and tours so be sure to ask for info while there. Since it's free and underfunded as a city entity, please drop a donation in their donation box on your way out. Be sure to check out this little known gem in west Baltimore!